The world’s newest, most powerful rocket in decades has reached space. 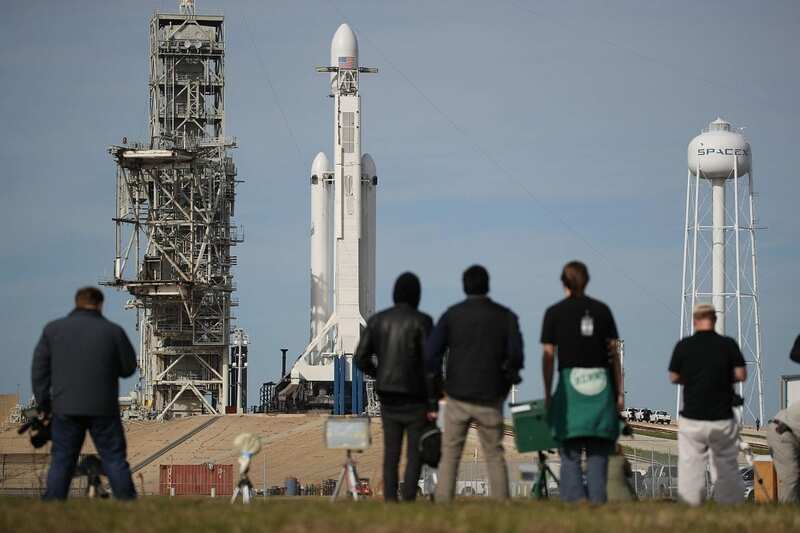 It took a few weather delays Tuesday, but the private space company SpaceX has successfully launched its Falcon Heavy rocket from the Kennedy Space Center. Not long after the massive craft blasted off NASA’s historic Launch Pad 39A, arcing a fiery path through the sky, its side boosters fell away. As the main rocket continued its journey into space, two of the boosters returned to Earth, landing successfully back on their designated pads. The center booster broke away from the rocket, as well, though it remains unclear whether that landed successfully on a drone ship at sea, as planned. Falcon Heavy is yet the latest example of that quest to make it much cheaper to get things into orbit. According to the company, it will cost just $90 million per launch, a fraction of the price of similar heavy-lift rockets. Elon Musk, SpaceX’s founder, has said the ultimate goal is to make humans an interplanetary species, by creating a colony on Mars. Falcon Heavy is a small step on that journey but it is still a very large machine. Weighing in at over 1,500 tons, it can carry more stuff into space than any vehicle since the Saturn V rockets of the Apollo Era. Nell explained more about the rocket in her preview of the launch here.